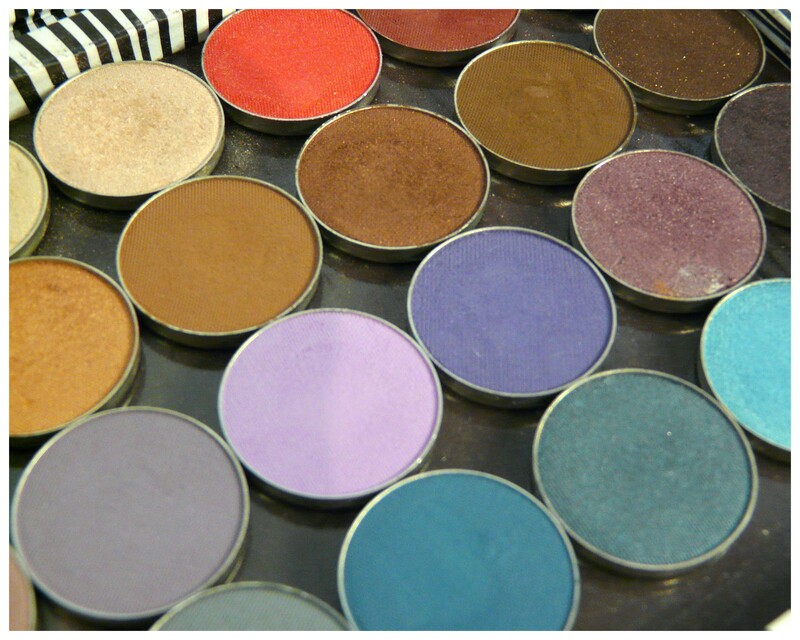 I purchased a bunch of eyeshadows from Makeup Geek at the end of last year with baited breath. I was nervous as I’ve also spent a lot of money in the past buying inexpensive eyeshadows that have shoddy pigmentation, don’t last the distance, and blend badly. I’ve learnt, the hard way, just buy the good stuff the first time (read ‘MAC eyeshadows’). Yes, I was worried Makeup Geek’s eyeshadows might under-deliver! I’ve been a been a big fan of Marlena, US-based Makeup Geek’s bubbly and gorgeous CEO for a long time. Marlena (along with Pixiwoo and Tanya Burr) have taught me most of my makeup tricks! So thought it was about time I showed some loyalty and purchased some of their ‘homebrand’ makeup. I’ve been a regular customer ever since. Let me set the scene here for a second. Here in NZ we pay a premium to live in paradise, particularly when it comes to buying makeup. A Revlon eyeshadow quad will sting you NZ$30. A single Rimmel eyeshadow is NZ$15. A single MAC eyeshadow compact retails at NZ$38. Ouchie! One Makeup Geek eyeshadow (pan) costs NZ$7.60 each for exactly the same amount of product as MAC (weight = 1.8g)! This makes Makeup Geek super affordable. These eyeshadows apply like a dream, have fantastic colour pay off – a little bit goes a long way. They blend beautifully and here’s the best bit – they have long lasting wear. I always use these with an eyeshadow primer on account of my super oily lids (I use my Urban Decay Primer Potion, of course – click here for that review!). 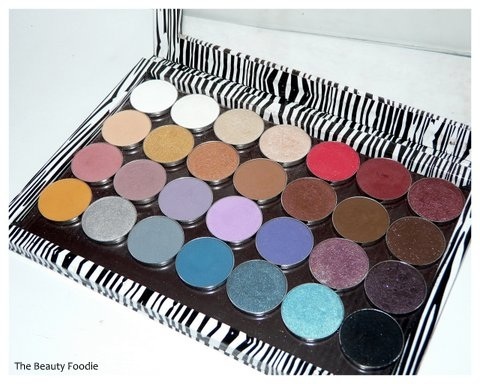 If you don’t have too many eyeshadows, but would like to start, I highly recommend the Makeup Geek starter pack palette, which at $US49.95 is amazing value for 9 eyeshadows (NZ$5.55 per eyeshadow AND it comes with a Z Palette). I got this for my Mum for her birthday, she loves it. So many different looks can be achieved. There are two ways you can buy the eyeshadows, in the pan, like I did (e.g. without a compact/container) – or in a compact (these are US$7.99). If you buy them in a pan, you’ll need to get something to store them in. I popped mine in a Z Palette (purchased from Gracie Lou). The back of the eyehadow pans are magnetized so they just adhere to the magnet in the Z-Palette. They don’t go anywhere! Easy! By the way, Z-Palette’s come in several sizes – you can also get small ones (which take 9 shadows, good for travelling). Shipping = reasonable. I paid US$14 delivery for my last order (but a girlfriend ordered some stuff too so we split the shipping!). Again, this is cheaper than shipping I’ve paid to get MAC stuff delivered to me from Auckland or Wellington’s MAC stores! I have only used the standard international postage so far (track and trace options are a lot more expensive). I’ve had no issues and delivery time from the US to Downunder has been no longer than a week (and I’ve had a few orders…). Unbeatable. How often do you purchase goods over the internet and when they arrive, it’s accompanied with a handwritten note to say thank you? My thank you notes from Jena and Kaitlyn at Makeup Geek were so gorgeous I’ve kept them. They make me smile! I think I’ve raved enough. You don’t need an excuse: Head over to http://www.makeupgeek.com (click on ‘Store’) – you won’t be disappointed. Soon (ish) – I’ll do a review on Makeup Geek’s brushes, I’m waiting on my latest order to arrive!